Modac is an amazing true animal story that spans seven decades. 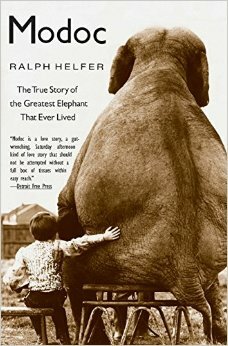 After reading this book my love and amazement of elephants grew. Modac is written by Ralph Helfer and can be found in our animal science section. Sounds like a great story!! I will need to pick up a copy at my favorite bookstore!!! !